Amy Wiggs Racic submitted this photo and caption. 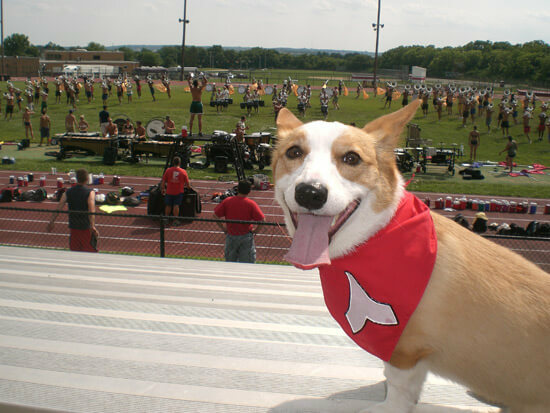 This is my dog Bartok enjoying a sunny day at the Phantom Regiment practice before the DCI Tour event this summer in Fairfield, Ohio. All the members loved having Bartok around, and she was sure to show her Phantom pride.